Oakland Catholic High School’s leading ladies took center stage at the Westin Convention Center Hotel, where more than 560 guests gathered for the Broadway soirée, which featured a musical performance by the OCHS Chamber Singers. 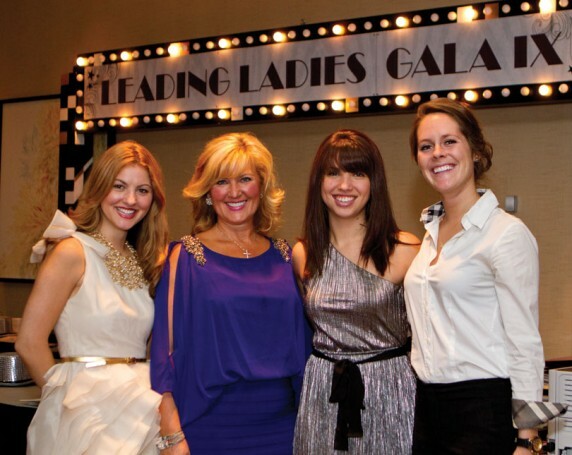 The show-stopping evening included a live auction, decadent raffle items, and a tribute to 22 of the region’s leading women in philanthropy, business, education, health care, religion, and the arts. Honorees were Sara Aros; Yvonne Campos; Dr. Mary Capenos; Kim Clougherty; Tracey DeAngelo; Kate Dewey; Mary Drummond; Dr. Anita Edwards; Dr. Rachel Egler; Julie Fallon Hughes; Sr. Bonnie Heh, RSM; Augusta Kairys; Carol Kinkela; Dusty Elias Kirk, Esq. ; Susan Kirsch, CPA, J.D. ; The Hon. Sally McDonough Niemiec; Sr. Mary Jo Mutschler, SC, Ph.D.; Teresa Petrick; Cecile Shellman; Jean Ann Streiff; Dr. Sarah Tambucci; and Marilee Tudi. Chaired by Patty Annear, Dana Ceraso, and Elaine Conte, the annual event — in its ninth year — has helped the school raise more than $1 million for scholarships, academic programs, facility needs!